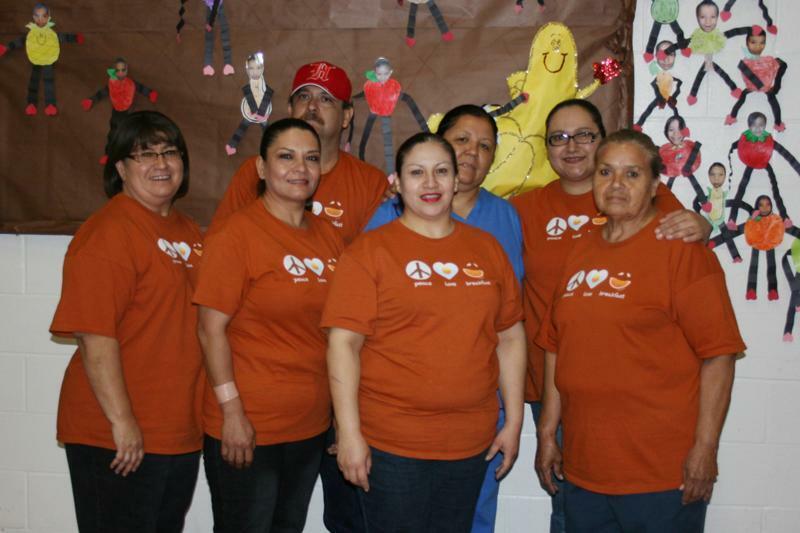 RGCCISD Child Nutrition Program held a decorating contest recently among all of the district cafeteria's. The criteria for the contest was that designs had to be original and provide nutritious information. Grulla Elementary Staff demonstrated great skills as they hung their three dimensional giant size veggies in vibrant colors. The decor is in an effort to promote healthy eating habits for the students. All Child Nutrition staff members are congratulated for their efforts and for their dedication to the students. Congratulations Grulla Staff for a job well done. Pictured from left to right; front row: Corina Vela, Lupita Fernandez, Frances de Luna, Maria Bazan, back row: Hernan Cortez, Conchita Reyna, Camelia Palomares. (RGCCISD Photo).